Founded by Shri. 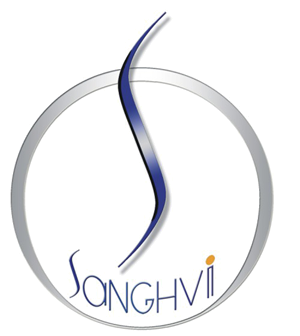 Devichand C. Sanghvi in 1973, the Sanghvi Group is a business house involved in marketing and selling niche and branded products conforming to IS standards viz. Plywoods, Veneers, Doors, Timber, Paints, Architectural Fittings etc. Lead by Resham D. Sanghvi and Mitesh D. Sanghvi, the group has been at the forefront of the industry and has seen very favourable growth. Head Quatered in Pune, the Group has successfully offered their expertise, material and services to customers across India. The Organisation is backed by well known brands who in turn provide them with extremely well priced and designed products. What has really given the company the boost that they wanted has been their focus to insure transparent and clear trade practices. Given the thought process the Sanghvi Group has moved to great heights in a very short span of time and has earned the trust & loyalty of their customers across the country. The Sanghvi Group provides multi brand and multi product range across industries like Construction, Architectural and Interior Design. The group is also associated with well known brands like Jotun Paints, Kenwood Panel Products(Ply woods, Doors, Veneers And Lumber) and ISHE(Laminated wooden flooring, Malaysian solid wood based ready to fit residential furniture). Kanara Wood & Plywood Industries Ltd. was established in the year 1972, at Jeppu on the bank of the river Netravati, and are manufacturer and exporters of the reputed KENWOOD brand of wood based products viz. Plywood of various grades (Commercial and Decorative), Flush Door, Moulded Panel Door, Teak Veneer and Decorative Blockboard of excellent quality and superior finish. Kenwood is marketed as one of the most premium and popular brand of plywood, veneers & doors available in the country. Kenwood Plywood is manufactured to exacting professional standards and have a commanding presence in the local market. The 'Kenwood' range of urea, melamine and phenol formaldehyde bonded products include Warm Water Resistant (WWR) grade ply, Boiling Water Resistant (BWR) grade ply, Boiling Water Proof (BWP) grade ply, Marine Plywood, Decorative Plywood, Block Boards, Flush Doors, etc. KENWOOD also manufactures a wide range of Decorative Veneers. The worlds best capital Vertical Slicer, with the Diehl tapeless Splicer the Kuper Zig Zag Splicer and other stringent quality control measures work in tandem to bring out a premium range of veneers that can be specially group matched and is available in lay-on form. Sophisticated processing equipment, advanced manufacturing techniques and top quality timber result in a finished product range that has a premium acceptance in the domestic and international market and finds extended usage in the ship building, coach building, construction and furniture industries. The Group has 69 companies and 33 production facilities on all continents. Jotun is represented in over 90 countries.